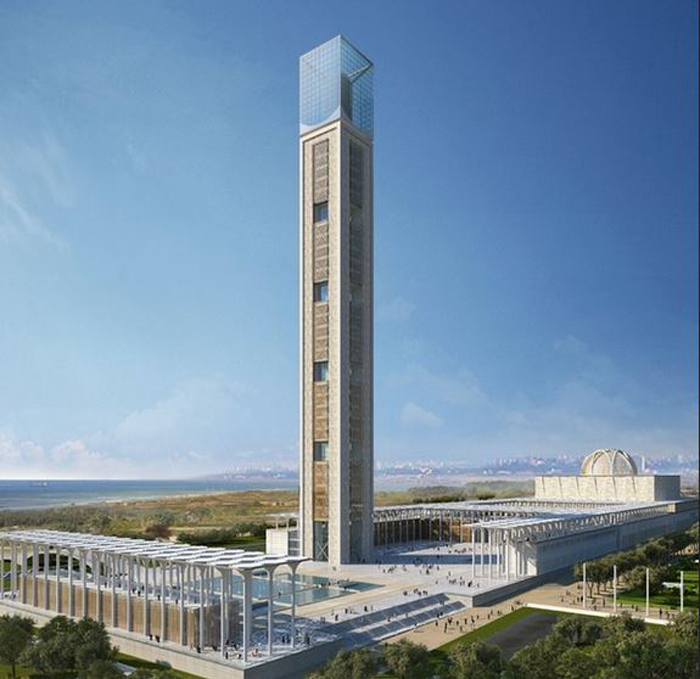 Algerian government has begun construction of a $1.5 billion mosque, expected to be the largest in Africa. Ouarda Youcef Khodja, a senior official at the housing and urban planning ministry has said the project is one of the biggest in the century. The mosque, which is situated in 20 hectares land in Algeria’s northern coast, has a capacity of 120,000 people who will enjoy services of a Koranic school, museum, library, terraces and gardens scattered with fruit trees by two unobstructed walkways. Algerian president Abdelaziz Bouteflika has said that the mosque will serve as a monument to Islam, and those who were killed while advocating for Algerian war of independence from France. The designing of the mosque was done by German Architects and will be built by China State Construction Engineering Corporation .The labour also will be provided by Chinese workers. The company is involved in building construction, international contracting, real estate development and investment, infrastructure construction and investment, prospecting and designing. Religious affairs ministry was initially implementing the project, but was later handed over to the ministry of housing and urban planning. It is set to be completed in 2016. Other large mosques in the world include Masjid al-Haram in Mecca Saudi Arabia, Al-Masjid al-Nabawi in Medina city, Imam Reza Shrine and Istiqlal mosque.